To claim this profile, please confirm you are Jalen Green. To follow this profile, please let us know your relationship to Jalen Green. 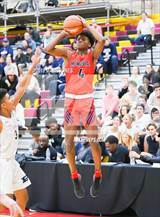 Jalen was tagged in the article "2018-19 MaxPreps Boys Basketball Junior All-American Team." National Player of the Year Sharife Cooper heads talented group from Class of 2020. 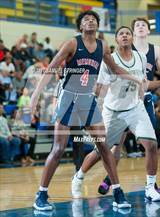 Jalen was tagged in the article "MaxPreps 2018-19 California Boys Basketball All-State Teams." Cassius Stanley of Sierra Canyon is the state MVP, Steven Dyer of Campolindo is Coach of the Year. 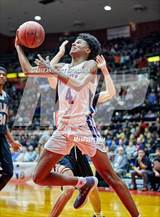 Jalen was tagged in the article "MaxPreps 2018-19 High School Boys Basketball All-American Team." Highlighting high school basketball's top 50 performers from the recently-completed season. Jalen was tagged in the video "James Harden or Jalen Green?." Jalen was tagged in the article "Protecting the Game: Will leaving home be the new norm for elite high school basketball prospects?." To stay or go? Nation's best ballers increasingly grappling with the question. 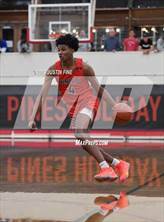 Jalen was tagged in the video "Jalen Green - Junior Highlights." 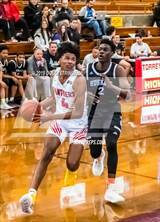 Jalen had 5 photos tagged from the game against San Luis Obispo. RESULTLoss Boys varsity basketball @ Bishop O'Dowd. The San Joaquin Memorial varsity basketball team lost Thursday's away playoff game against Bishop O'Dowd (Oakland, CA) by a score of 66-61. This game is part of the "2019 CIF State Boys Basketball Championships - Division I " tournament. Jalen was tagged in the video "Jalen Green shows out in playoffs." RESULTWin Boys varsity basketball @ Dublin. The San Joaquin Memorial varsity basketball team won Tuesday's away playoff game against Dublin (CA) by a score of 94-80. RESULTWin Boys varsity basketball vs. San Luis Obispo. The San Joaquin Memorial varsity basketball team won Friday's neutral playoff game against San Luis Obispo (CA) by a score of 87-44. This game is part of the "Central Section CIF Les Schwab Boys Basketball Championships - Division 2" tournament. RESULTWin Boys varsity basketball vs. Independence. The San Joaquin Memorial varsity basketball team won Wednesday's home playoff game against Independence (Bakersfield, CA) by a score of 83-58. RESULTWin Boys varsity basketball vs. Roosevelt. The San Joaquin Memorial varsity basketball team won Friday's neutral playoff game against Roosevelt (Fresno, CA) by a score of 94-68. Jalen was tagged in the video "Jalen Green highlights." RESULTWin Boys varsity basketball @ Sanger. The San Joaquin Memorial varsity basketball team won Wednesday's away conference game against Sanger (CA) by a score of 67-50. RESULTWin Boys varsity basketball vs. Madera. 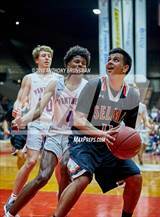 The San Joaquin Memorial varsity basketball team won Friday's home conference game against Madera (CA) by a score of 90-49. RESULTWin Boys varsity basketball vs. Edison. The San Joaquin Memorial varsity basketball team won Wednesday's home conference game against Edison (Fresno, CA) by a score of 82-59. RESULTWin Boys varsity basketball @ Madera South. The San Joaquin Memorial varsity basketball team won Friday's away conference game against Madera South (Madera, CA) by a score of 80-38. 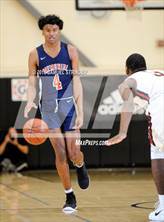 Jalen had 48 photos tagged from the game against De La Salle.